Peach Cobbler Mystery is almost done! This is the sixth book in the Amish Sweet Shop Mystery series. I’ve loved writing them and I can’t wait to share what’s coming next year. Plain Intent is an Amish Suspense novel — and nothing whatsoever to do with the Amish Sweet Shop mysteries. If you like heart-pounding suspense in a small, Amish community, you’ll love this story! In the meantime, we have lots of events, meetings and family activities to keep us busy during April. April 1st. . . Easter Sunday. We’ll attend the sunrise service at our church, then drive over to the family church for their regular worship service. April 3rd. . . Sophie’s New Home, the third story in my Sophie Kitty children’s series, will release. The Alien’s Daughter by JC & Macy Morrows will be available on pre-order. We have meetings. 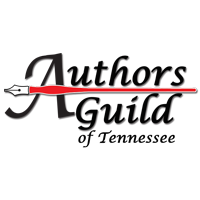 . . ACFW Knoxville, Authors Guild of Tennessee, Knoxville Writer’s Guild and the quarterly meeting with S&G Publishing. Then we’re planning a trip to Gatlinburg. If it’s nice weather, we plan to visit Parrot Mountain, then lunch at The Apple Barn and a scenic drive through Cades Cove. Do you enjoy driving through the mountains? And we have several book signing / speaking events. . . plus the Southern Kentucky Book Fest 2018 (SOKY BF2018). . . .and my birthday! Whew! This is all so exciting; I can hardly wait! Previous Post Life marches on. . . until your battery dies.